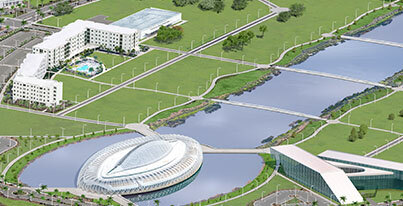 A student-developed plan that models the city of Jacksonville’s vision for an autonomous public transportation system earned a second-place finish recently for Florida Polytechnic University. The design was one of six presented Nov. 9 at the Urban International Design Contest in Las Vegas. Teams from universities around the globe entered their vision for how new modes of sustainable public transportation can be implemented in their host city. 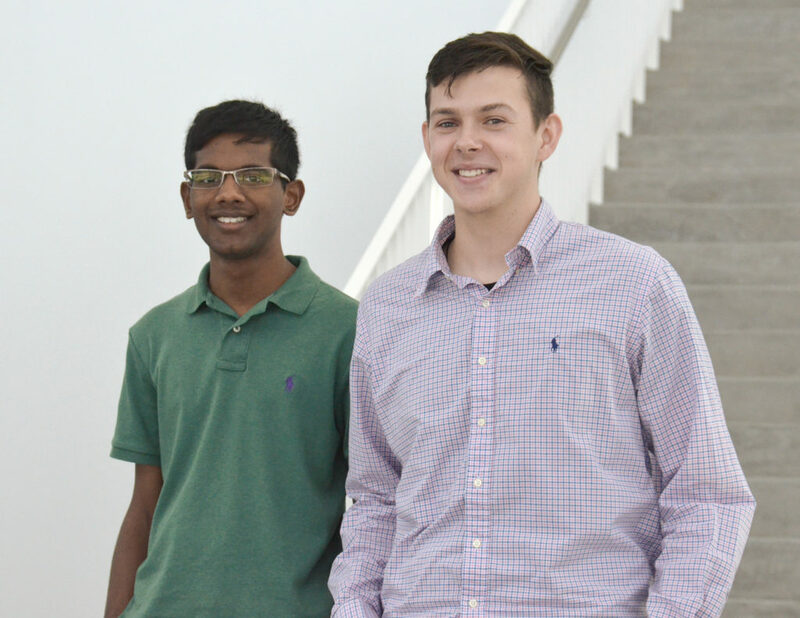 Florida Poly students Brendan O’ Malley, Vamsi Hanamanthu and Jon Morris have been working with Jacksonville Transportation Authority (JTA) since the end of July learning about the transformative plan to convert the city’s existing Skyway into a more user-friendly, autonomous system. City planners have spent years researching options and developing plans; Florida Poly students took those plans and developed ways to graphically model the expansion of services outside the current downtown grid and off the existing Skyway. The projects are graded on the quality of the 3D digital model developed by the team, their presentation and the quality of their paper. Knowing that all three of their products were sufficient to win second place validated months of work, Vamsi says. 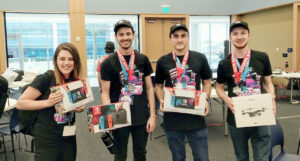 Brendan, of Brandon, Florida, a Sophomore studying Cyber Gaming, did a majority of the work on the 3D model, which was crafted using a program called Encitra by 4Dialog. The project required him to lean heavily on his Cyber Gaming programming as well as learn new skills. The finished product provides viewers a detailed look at what the new pods would look and how they would be deployed through Jacksonville. Also working on the project was Jon, of Tampa, Florida, a Junior studying Computer Science. “Florida Poly really pushes applied learning. 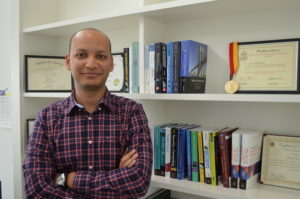 It’s not just memorizing what was on Page 52, but using our skills in actual projects,” Vamsi says.